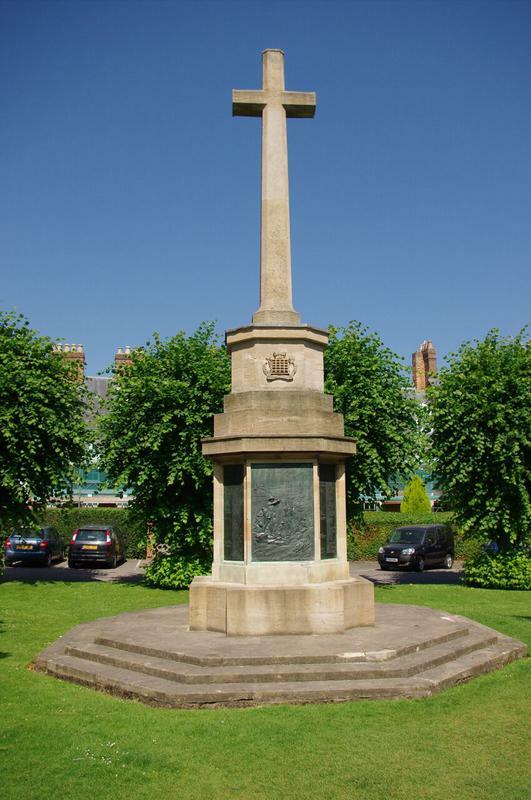 A large stone Latin cross with a tapering shaft surmounting a plinth and base. 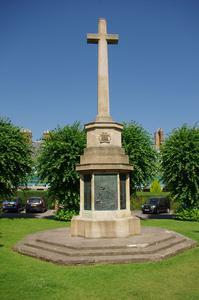 There is a regimental badge on the front face of the plinth. 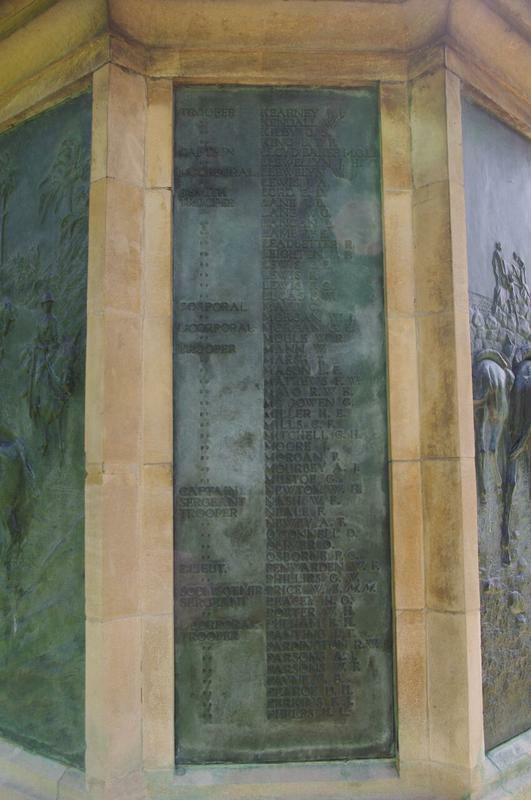 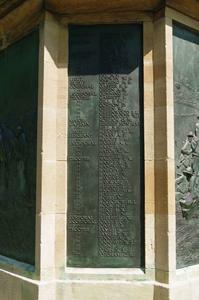 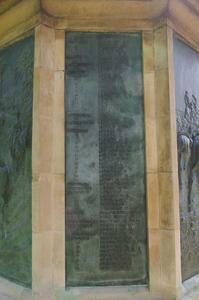 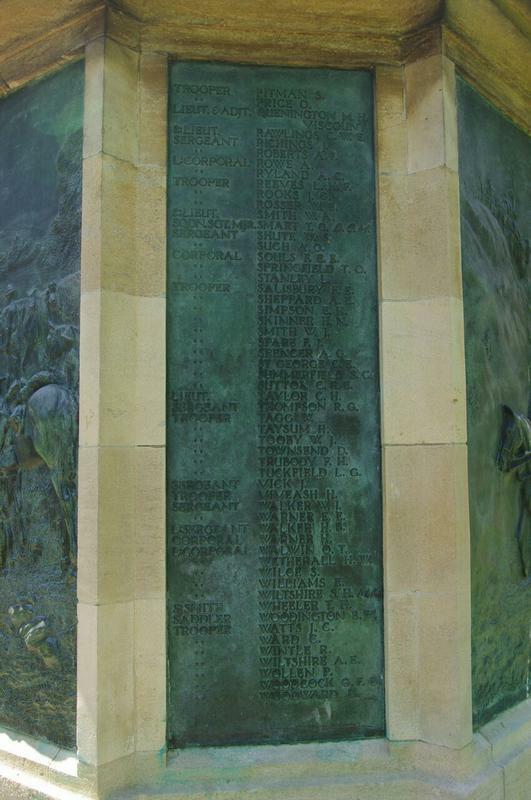 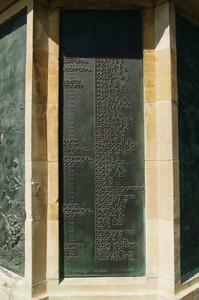 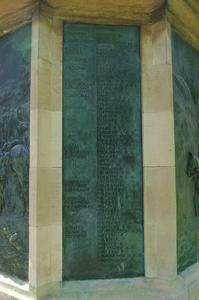 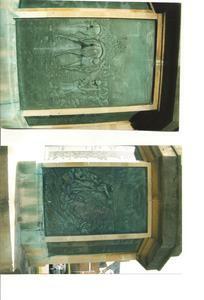 The base bears plaques with name dedications and panels depicting scenes of war in relief. There are a total of four scenes showing Gallipoli, Syria, Sinai and Palestine. 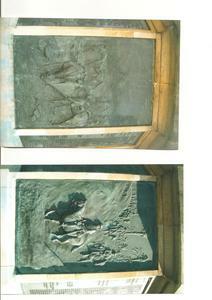 Siegfried's Journal No.22 (Summer 2012) pp. 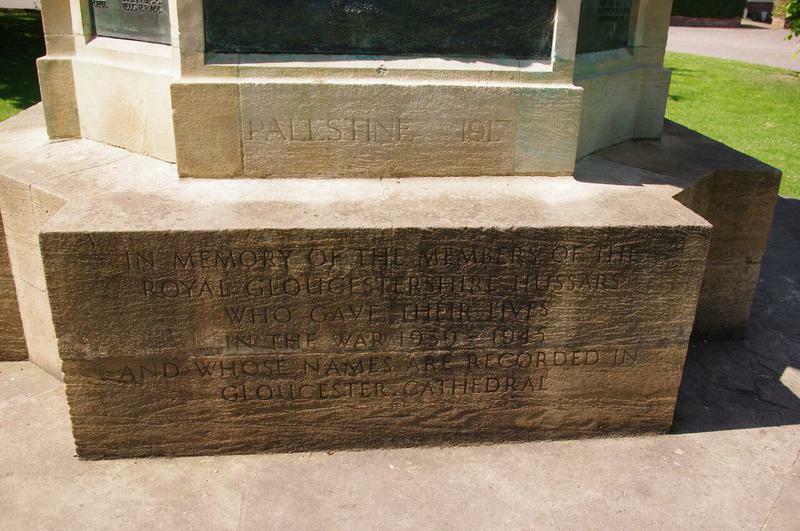 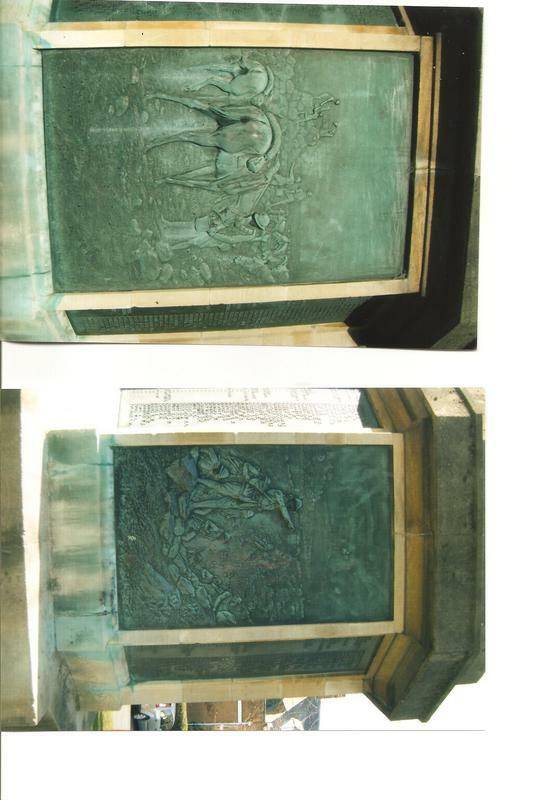 18, 23 Photos of memorial with cathedral in background and close-up of part of plaque including name of Capt Lord Elcho.